What was once the sole possession of the Nexus One has begun making its way into the eager hands of HTC Desire owners throughout Europe. That's right, Froyo is now creeping over the air and bringing Sense UI right with it. Read on to find out what benefits and potential problems this update has in store. The 2.2 update grants the Desire the ability to record video in 720p, as promised by HTC at launch. Clarity seems superior to the efforts so far on the Nexus One but framerates are still low. HTC has added the simple app sharing widget as seen before on the Desire's little brother, the Wildfire, allowing you to spread links to market applications over your various social media. Improved language support on the popular HTC keyboard. HTC's enhanced Caller ID, showing the latest Facebook updates for that contact. No data loss – the update to 2.2 retains your settings and applications rather than wiping your phone. iTunes syncing using HTC Sync. All of the speed and responsiveness improvements of the new JIT compiler. Standard Froyo features such as the Cloud To Device Messaging, enabling such functionality as chrome2phone, which you can get for Chrome (obviously), and for Firefox too. The inevitable, painful wait for carriers to release the OTA update for those without carrier-unlocked devices. Lack of support for Froyo in Android market so far due to small install base - Apps2SD is still a rare luxury. The update requires 25 MB of extra internal space, meaning you may have to delete some apps before you can update. Some users have reported issues with the camera either not working or taking discoloured photos. This seems to be a conflict with 3rd party camera applications or incompatible radio images. Copy protected apps will not install nor appear in the market. This is a result of anti-piracy measures and should be fixed by Google within the coming weeks. For those lucky Desire owners who have unlocked, unbranded handsets or happen to be on a particularly benevolent carrier upgrading is as simple as checking for an update in the system settings. To do that you simply have to go to Settings > About Phone > System Software Updates > Check For Updates. If you’re one of the chosen ones, you will receive an available update notification and you can start the upgrading process. If you don’t receive the update, it is likely that your carrier has not rolled it out yet, so unfortunately you'll have to wait for them to finish adding their bloatware and passing it through a fastidious vetting process. Alternatively, you can debrand your phone using the Gold Card method, which will allow you to receive the plain official update without carrier interference once you have flashed a vanilla ROM. This will cause you to lose your data so it may be best to just wait it out, as torturous as it will be. All in all the update seems to be a hit with the throngs of Desire owners across the globe. It is a relief to see that HTC has bucked up their turn-around cycle with Sense UI OS updates after the horrific time Hero owners had to wait for the Eclair upgrade. What has your experience of the update been so far? Let us hear it in the comments. 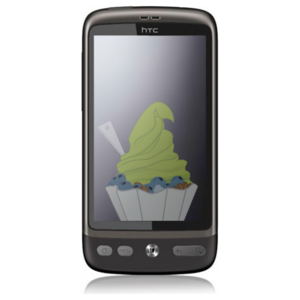 The Android 2.2 (Froyo) update for HTC Desire will start rolling out across Europe this weekend. As well as including the complete set of Android 2.2 features, the update will contain a few special additions of our own through the latest iteration of HTC Sense. The update will provide 720p video capture, HTC's App Share widget, as well as our enhanced HTC Caller ID, and improved multi-language keyboard. Also, through the update, HTC Sync will allow HTC Desire users to sync their music with iTunes. HTC Desire users will be notified that the over-the-air update is available to download when their phone automatically checks for software updates. The update won't delete any of the phone's content. However, due to the size of the update, we would advise using a WiFi connection to download it wherever possible to avoid additional data charges. This update will initially roll out to unlocked HTC Desire handsets. Operator specific versions of the update are undergoing testing and we expect to make them available in several weeks' time.